Andrew Drury shared a link. 3 months 3 weeks ago. Andrew Drury shared a link. 5 months 2 weeks ago. Andrew Drury shared a link. 6 months 1 week ago. Andrew Drury shared a post. Aside from this book just being a cool, informative, and entertaining document of a slice of culture and time this is the first time that I’ve had stuff written about me in a book, and had my writing published in one. 8 months 1 week ago. Great playing compositions by Sandra Sprecher tonight at Happylucky No. 1. Cooper-Moore and Stephen Gauci’s played a great opening set. 9 months 2 days ago. Myra Melford, Mark Dresser, Chris Speed, Briggan Krauss, Eyvind Kang, Andrew Drury. What more is there to say? A stellar group of avant-jazz notables from New York’s downtown plays Drury’s intricate music with volcanic intensity. 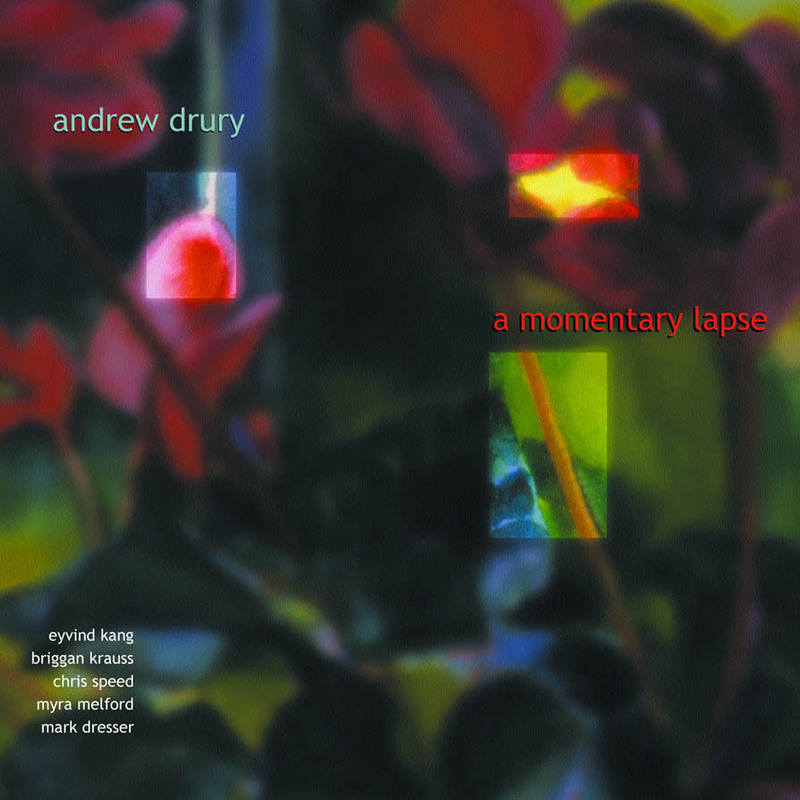 A Momentary Lapse is Andrew Drury’s breakthrough CD, putting him on the map as a virtuosic drummer with uncommon compositional vision and a knack for creating groups that have a serious vibe. The nine compositions unselfconsciously meld jazz, rock, and chamber idioms and are animated by Drury’s drum-influenced sense of melody, form, and energy. Stemming from the avant-garde jazz tradition with elements of the AACM, Stravinsky, and Coltrane serving as reference points, A Momentary Lapse should appeal to listeners interested in creative, acoustic composition and improvisation played with arch intelligence and cataclysmic exuberance. Exceptionally well recorded, A Momentary Lapse provides a fascinating glimpse of Myra Melford as a sideperson in a larger group context than is customary for her. She and Dresser shine throughout, making this disk a must-have for fans of their music.